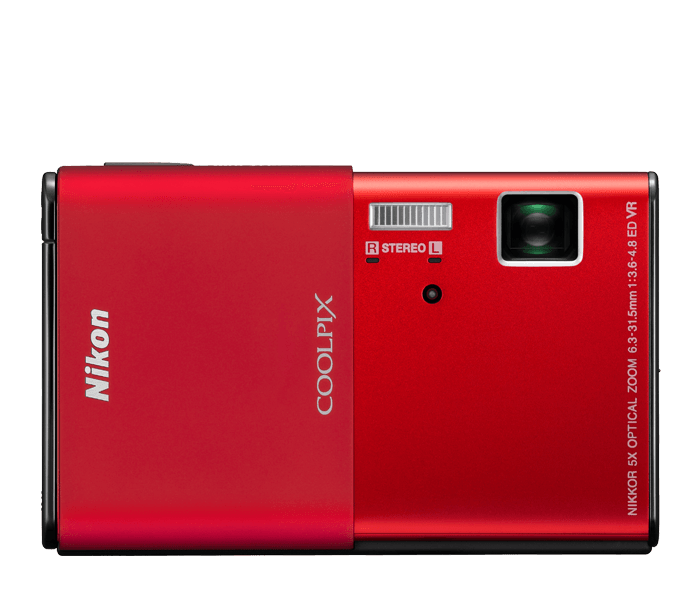 14.1-megapixel CCD sensor for stunning images. 5x Wide-Angle Optical Zoom-NIKKOR ED Glass Lens. Versatile 35-175mm lens ranges wide to capture landscapes, zooms in to get close to the action. In the NIKKOR tradition of precision optics, the high-quality ED glass lens delivers superb color and razor-sharp results. Blink Proof automatically takes two sequential shots and saves the one in which your subject's eyes are open. Macro shooting as close as 2.8 inches. 150 shots (approx.) with supplied EN-EL10 Li-ion rechargeable battery. In-camera Picture editing include Quick Retouch, Active D-Lighting, Soft Focus, Selective Color, Cross Screen, Fish-eye effect, Miniature effect and more. Touch Control Display makes it easy to write or draw on the large Display. Subject Tracking track a moving subject to ensure sharp focus. HD (720p) Movie with Stereo and HDMI Output, optical Zoom control and stereo sound recording. HDMI output allows easy in-camera playback or convenient playback on HD-TV or computer. 3.5-inch Ultra-High Resolution (819,000-dot) Organic LED (OLED) Clear Color Display for still images and HD movies that come alive with rich detail and improved contrast. The large Touch Control Display controls the camera’s key functions, and the display's wide viewing angle, brightness control and anti-glare coating make it easy to compose, view and share pictures. Ultra-Slim design. Just 0.7 inches thin. Sliding lens cover linked to power-on. Enhanced User Interface for intuitive operation. Unless otherwise stated, all figures are for a camera with a fully-charged Rechargeable Li-ion Battery EN-EL10 operated at an ambient temperature of 25 °C (77 °F). *Based on Camera and Imaging Products Association (CIPA) standards for measuring the life of camera batteries. Measured at 23(±2)°C (73(±4)°F); zoom adjusted with each shot, flash fired with every other shot, image mode set to 16:9(8M) 3968×2232.